If you like betting and believe that the odds like to favor you, LottoGo can be a perfect place for you to try your luck. LottoGo is brought to you by “Annexio Group” which is the same company that owns PlayLottery.com. In the world of online betting, the first thing you have to do is find a reliable platform. While you would expect the digital world to be an ideal place for everyone, that’s not the case. If you want your money and personal information to be safe while enjoying transparent betting, LottoGo should be one of your options. Let’s dive into this LottoGo review and see what makes it one of the best betting platforms out there. As mentioned earlier, the first thing you have to pay attention to before you start betting online is to find a reliable platform. You can’t just trust anyone who claims to be a safe betting website. LottoGo is a responsible company and it operates under Annexio Group of Companies. Annexio (Jersey) Limited is a reliable name because it operates under proper gambling regulations and supervisions. Most importantly, it is licensed by the UK Gambling Commission and the Jersey Gambling Commission. When you bet with LottoGo, you have the utmost peace of mind. They have a neat and clean website with pure focus on the games and jackpots. There is nothing to distract you from taking part in your favorite jackpots. More often than not, gambling websites like to plaster dozens of ads and promotions on their home pages. Such ads can be quite distracting and disruptive to the overall website experience. All the information on the website is searchable through easy-to-locate tabs. The website is available in half a dozen languages too. They use plain language to explain lottery betting and use large thumbnails so the experience is smooth on desktops as well as mobile devices. Here are a few things that make LottoGo an overall likeable online betting platform. They have all the famous jackpots from around the world available in one place for betting. 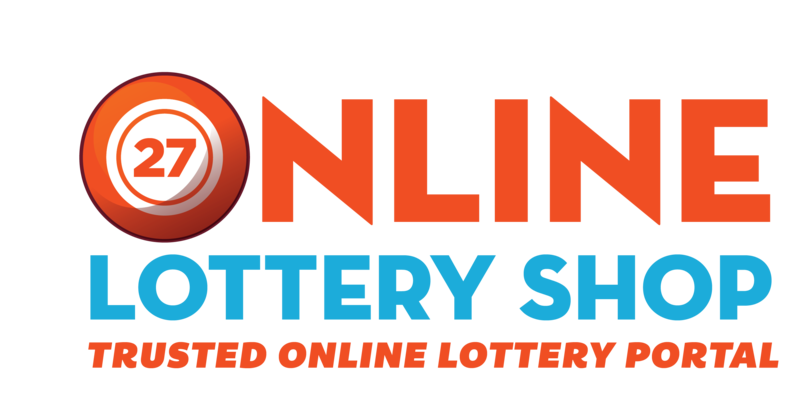 These jackpots include MegaMillions, EuroMillions, UK Lotto, Powerball, SuperEnalotto and many more. You can bet as an individual or in the form of a syndicate. You have access to all the jackpots even as a syndicate. Their syndicate options are affordable giving you hundreds of chances to win a jackpot while costing you less than ten pounds. Be sure to check the varying syndicate prices for different jackpots though. The website is information rich but the best thing is that every piece of information is exactly where it should be. For example, you can know the rules and regulations of a lottery on its dedicated page. In addition to the jackpots, you also have a lot of instant-win games available for you to play. The list is expansive and contains all the famous games like Blackjack, European Roulette, Bingo, Keno, etc. Scratch cards are another one of the strengths of LottoGo. They have lots of scratch cards available for you to try your luck. You will like the fact that they have given you the information about odds of winning with every scratch card. Despite all the amazing gaming options and ways of winning jackpots, one of the things that can ruin your experience or make it enjoyable is the money withdrawal and depositing methods. Does LottoGo force you to use only one method of depositing funds in your online account? That’s not the case at all. In fact, you can choose the option that you consider the safest and easiest. If you like the e-payments route, you have several e-payments and digital wallet options to choose from. You can send bank drafts and money orders too. Of course, the easiest of all is depositing using your debit or credit card. Yes, you can use your debit or credit card to fund your account. At any given moment, LottoGo restricts you to deposit a maximum of 2500 pounds. If you are depositing some other currency, the maximum will still be an equivalent of 2500 pounds. Withdrawals are just as easy as your deposits. The one thing you have to keep in mind is that your winnings come back to you through the same channel that you use for depositing the money. If you choose to fund your account with your credit or debit card, LottoGo will send your winnings to one of those. In today’s world, you expect things to be mobile. In an era where people like to search for local businesses on their mobile phones before visiting them, you can’t expect your betting platform to be limited to desktops only. LottoGo understands that well and has a mobile application for its users. The application is available for the major mobile platforms i.e. Android and iOS. The office hours of the company last from 9am to 5pm on weekdays. They are closed on Saturdays and Sundays but you can email them your queries whenever you want. Their website form is also available for you to send any complaints. The good thing is that you can attach files on their website form, so if there is a problem that needs clarity, you can send them screenshots as well. Despite the availability of those options, a live chat feature and a detailed FAQs section should definitely be there on the website. The overall experience of betting with LottoGo is pleasing. They do care about their customers from around the world and thus the website in multiple languages. Betting is affordable, especially if you use the syndicate option. The range of jackpots available for betting is admirable too. For those looking for other ways of entertainment than betting, they can try their luck with hundreds of instant-win games and dozens of scratch cards. They are operating under a licensed entity, and that should give you the peace of mind when placing bets. Their website is mobile optimized for smooth experience and the intuitive mobile application is a plus. 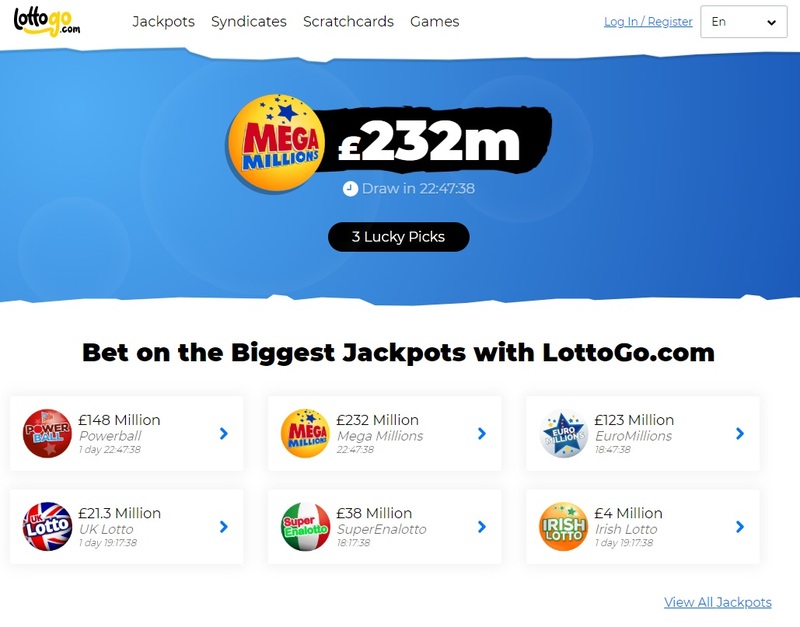 Overall, LottoGo is a recommendable online lottery betting platform.